So many products, so little time, yet glowing skin is always in! Want to make your life ten times easier and still ooze radiance? 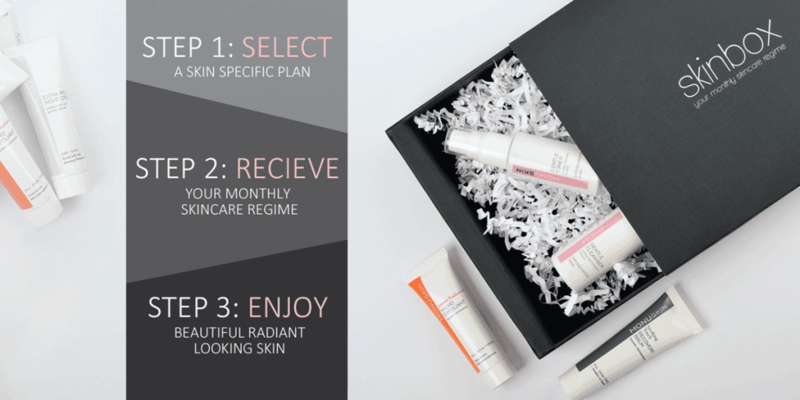 Introducing SKINBOX, your monthly natural skincare regime delivered to your door, tailored to your specific skin type. Four pillars to great skin, Cleanse – Tone – Exfoliate and Moisturise, all boxed up with enough fabulous natural skincare product to last a month. Discover the best products for your skin type: Dry, Sensitive, Oily, Combination or Mature. For men you can select from two monthly packages, daily or mature which will revolutionise your daily routine of wash, refresh, shave and moisturise. How would you rate Skinbox ?